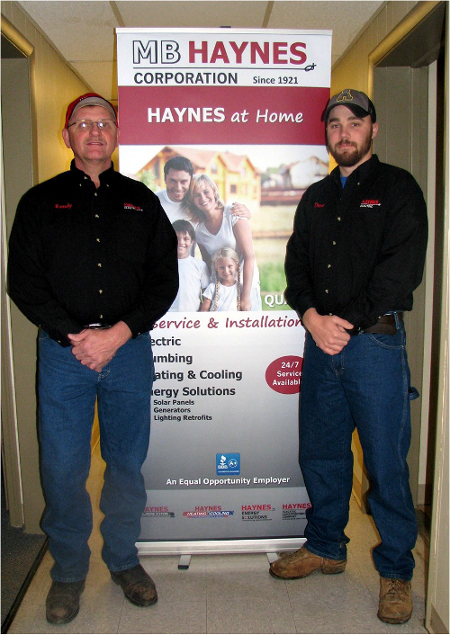 Thanks a Million, HAYNES Electric for sending two of your star electricians, Randy Moore and Drew Ferguson, whom I would rate as treasures in your organization. I have had other electricians in the past who did a “surface” job, but these two went not only the second mile but the tenth in tracing down my electrical problem, which proved to be a shortage in the breaker panel that could have easily shorted out and caused a fire. I will be eternally grateful to them both as well as HAYNES Electric, for not only a job well done, but for the peace of mind I now have in knowing my house is electrically safe. I would, also, like to commend Darlene who was most gracious and took a real interest in my problems, to the point of following up by telephone and keeping me posted on the arrival time of the electricians. Please express my appreciation to her. From all of the above adulation, I am sure you recognize that I am a great fan of HAYNES Electric, and while I do not relish any more problems, I will certainly always call on you and refer you to my friends.